To The Only Private Professional Forum for Medical Ozone Practitioners & Researchers For Free. 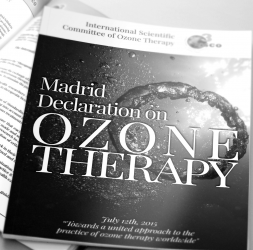 The Ozone Society and it's members support the work and abide by the guidelines and ethic's set out by the European Cooperation of Medical Ozone Socieities. The foundation is based upon the Low-Dose Concept Guidelines and Treatment Strategies. Copyright © 2019 Ozone Society. All rights reserved.